When I try to copy(click to a red circle) will result in a hang for 2-3 minutes. 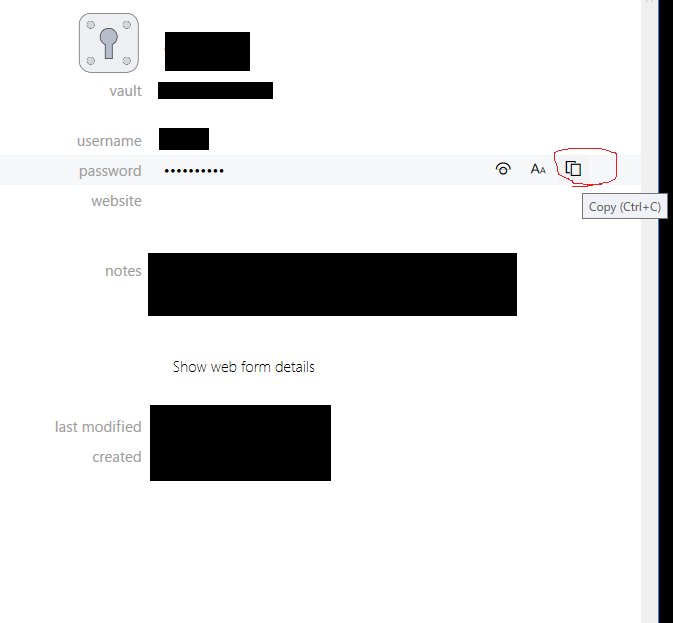 This isn't a bug in 1Password, it's a Windows issue where your clipboard couldn't be modified by 1Password to copy the data. Do you use any clipboard managers on your computer? Does this hanging issue happen each time you copy something or is it intermittent? No, I don't use clipboard manager. It is not each time. Can you give an estimate of how often it happens, once an hour, day, week? Would you say if you try again, it works fine instantly or does it keep hanging for like a few minutes and then back to normal? Does it happen more often after a specific event, like 1Password unlock, waking up a computer or anything like that?